Winter driving can be perilous enough for those without significant experience. But when it’s in BC, it takes on a whole other meaning, especially in light of recent events. With the official season on the way, Park Insurance is setting up a road map with tips to navigating our winter roads without increasing the risk of an accident and liability. There’s a reason we placed “2018-19” in the heading above. That’s because recent events have compounded the already hazardous winter roads and highways of British Columbia. For one, recreational cannabis is now legal across Canada. Given that BC has the highest percentage of cannabis users in the country, the potential of sharing the road with impaired drivers this winter is greater. And don’t let anyone have you think otherwise, as studies show THC significantly impairs driving. When you factor in harsh winter conditions, the risk is inflated further. Another threat to drivers, does not pertain directly to safety, but to insurance premiums. ICBC is changing the way they determine premiums. Some (good drivers) deem the new measures to be rewarding, while others (bad drivers) consider it punitive. Whichever the case, you need to note that ICBC will now factor in driver experience, crash background / scan period, vehicle usage, and more. You can view a full accounting of this new ICBC initiative here. Moving forward, you will want to become much more conscious of your actions on the road, and there’s no better time to start doing so, that this winter season when the risk of impacting your driving record is greater than ever. Winterize your vehicle – Mount winter tires (vs all-season) and check tire pressure. Make sure all fluids (gas, oil, wiper fluid, etc.) are topped off before heading out on the highway. Have a mechanic perform a top to bottom inspection prior to the season, checking everything from the transmission to the defrosters. Avoid tailgating – Drive with caution and leave three to five seconds between your vehicle and the one in front of you, with timing contingent upon how rough the conditions are. Know what to do on ice – If you drive over an ice patch and your vehicle begins to skid, focus your vision on the road, ease off of the accelerator, and steer smoothly in the direction of the skid. Watch for wildlife – BC wildlife (especially deer) comes down from the mountain in the winter in search of food, so keep an eye on the road ahead for them, especially at night. Remove distractions from vehicle – Put your smartphone in the backseat (or trunk) and reference these two lists (here and here) of driver distractions you may not be aware of. Monitor (and respect) weather reports – If there is a severe weather warning, don’t risk it. Stay home until the alerts have been lifted. 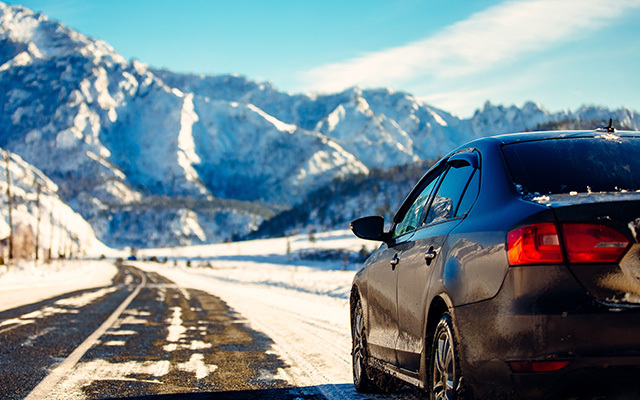 View more from Park Insurance on these tried and true best practices for winter driving. Drive more cautiously between 3 and 6 PM when most pedestrian accidents occur. Yield to pedestrians at intersections and check beside streetlight posts before proceeding. Monitor driver actions (i.e. slowing down) in front of you as they may be responding to an incoming/crossing pedestrian. Minimize night driving, especially if you have any form of vision impairment. No, there isn’t “winter specific” automobile insurance, but you can certainly make sure that your coverage is more robust, beginning with the season you need it to be so most. For instance, optional auto insurance provides further protection for risks relating to collisions, winter vehicle storage, extended third party legal liability, vehicle travel protection, and other specified perils related to winter driving and your unique needs. Contact Park Insurance to speak with an independent broker today and find out if you’re prepared for all that can befall you when the snow starts to fall on the roads of British Columbia, and beyond.